Summer is a time to relax, eat well, and, given the variety of settings in which to do the latter, to have fun with your table settings. My co-worker, Sarah, and I decided to pick one table and make two summer table settings using as many of our design products as we could from our studio, TUCK. One table is styled for those who prefer the warmer, natural earth tones and one table is styled for those who jazz summer up to its fullest design potential – vibrant! 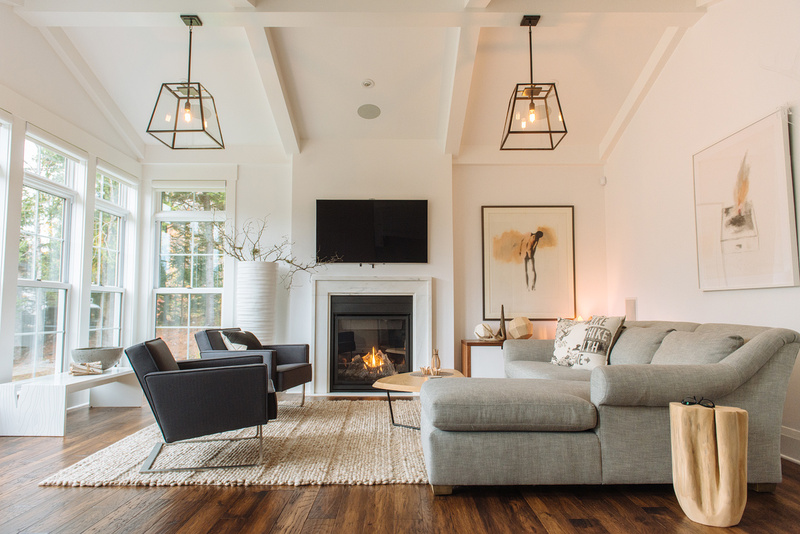 – using beautiful décor items that are both available for purchase or easily constructed DIY elements to come up with fun and unique settings. Read on to see our two summer table settings! Are you more of an ‘earthy’ or a ‘vibrant’ kind of person? Your preference is probably determined as much by your character as the mood you’re in. 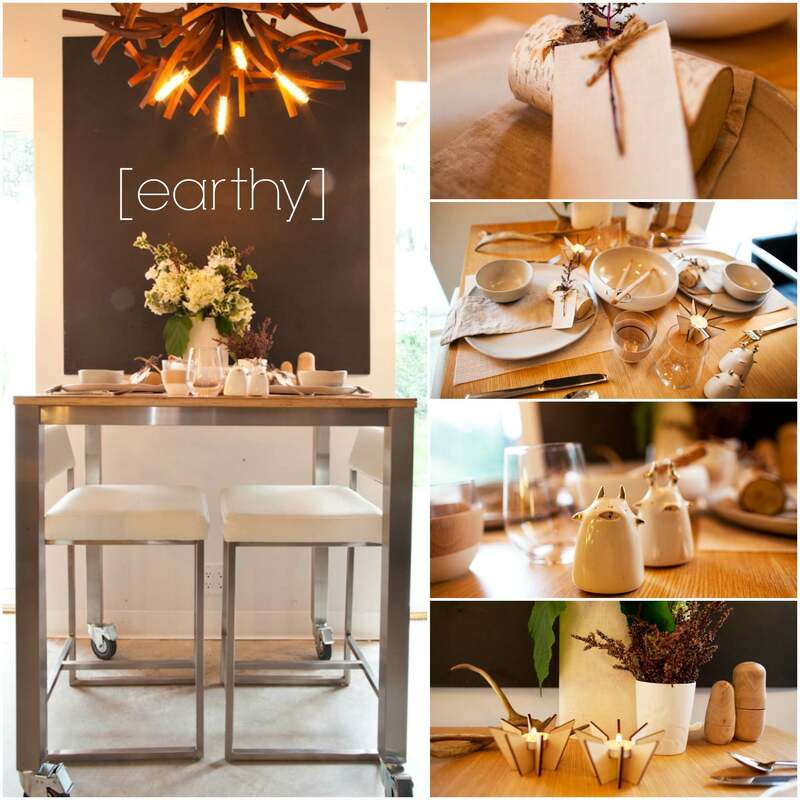 Table Styling: Sarah Tapley (punch inside ) Photos: kellylawson.ca – Here is our ‘earthy’ version! We mixed natural woods, antlers, ceramics, and linens with fresh hydrangea under a custom branches chandelier from Brothers Dressler. – Handmade place settings: cut birch with twig wrapped in twine with pale pink purlap, cut and ready to write your guest’s name on it. Here is our ‘vibrant’ version! We mixed pops of bright colour using ceramics, paper placemats, bold tableware, decorative bright glasses, origami surprises, and freshcut perennials, including sedum. We then ‘modernized the setting by adding a Patrick Townsend ‘Orbit Chandelier’ above and added the School stools below the Niagara table. – Origami Crow (directions from the internet) including a post-it note in the bird’s mouth ready to write the guest’s name on.